Our organization is currently undergoing transitions for more information or questions, please contact Karen Wade at 323.300.6077 or email kwade@fsstech.org.
. . . To provide solutions for success to traditionally underserved groups, through experiences and opportunities that blend the "high-tech, high-touch"skills required to compete and thrive in the 21st Century. Since 2001, FSS – founded as FSS-Project T.E.C.H. 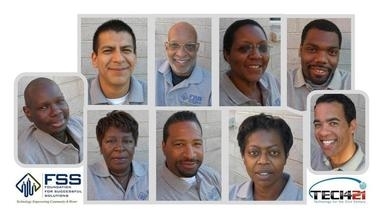 – has served and supported many individuals and organizations in the Los Angeles Metro area through our training classes, computer donations, technical support, and media services that provide personal, educational and professional development. 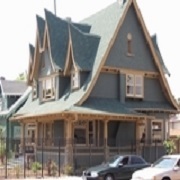 Fomerly, we proudly operated our community technology programs at the Tom Bradley Family Source Center in the Los Angeles Mid-City area and at the South Seas House, located in L.A.’s famed Historic West Adams District. 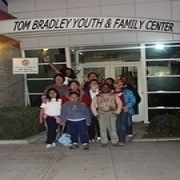 For more than fourteen years, with contributions from individuals and funding from the private and public sector, FSS as a 501(c)(3) entity has serviced a diverse population that is primarily African American and Latino, and includes children, teens, adults, seniors and families, as well as those with developmental disabilities. Through our mission in providing technology access and training, we have demonstrated that technology is a tool to be used for personal growth, academic achievement, creative expression, civic engagement, professional skills enhancement, and much more. In addition, FSS has been helping bridge the “digital divide” that often prevents individuals, workers and families from reaching their full potential in the 21st Century. Becoming one of the program sites for ScienceQuest, a national science and technology exploration program for middle school youth developed by the Education Development Center (EDC), and funded by the renowned National Science Foundation. Working on a variety of programs, services and initiatives with local entities, including: SEIU Local 877 (Justice for Janitors); Black Data Processing Associates, LA (BDPA-LA); Holiday Bowl History Project; Carmelitos Housing Development in Long Beach, CA; YWCA of the Harbor Area; and local neighborhood councils and associations. Economically empowering low-income/working families and individuals by providing free electronic tax preparation and filing through the Internal Revenue Service VITA (Volunteer Income Tax Assistance) program. Donating computers to families, community groups and individuals who are unable to afford them. Offering a digital storytelling project for adults, including adults with disabilities, in partnership with the Lanterman Regional Center, the Alliance for Technology Access, and the Computer Access Center. Establishing – in collaboration with the famed St. Elmo Village – “We Speak Peace,” a youth media project funded by the Youth Arts and Education Program of the Los Angeles Cultural Affairs Department. Training for underserved communities and individuals on how to utilize the Linux Operating System and free open source software applications to close the “digital divide” that enables free/low-cost access and usage of the Internet. Promoting self-empowerment among renters and low-income individuals/families in neighborhood development and organizing through the, Neighborhood Training Program, a basic digital literacy class. Donations of computers are also made to those participants that cannot afford one. Launching a well-received series of beginning and intermediate level Spanish-language computer and internet courses. Developing economic empowerment through financial literacy classes and free income tax preparation services for low-income families and individuals. The free tax services are offered through the EITC (Earned Income Tax Credit) Campaign Partnership of both the City and County of Los Angeles. 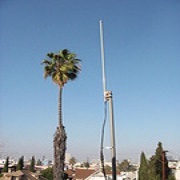 Founding the free, ground-breaking community wireless (Wi-Fi) network in the Harvard Heights neighborhood serving several families and individuals in their personal, education and professional development. These families also helped FSS in “building” the network. FSS is very grateful for the support we have received from our inception to continue our mission. And with that support, FSS is proud of our role in making technology accessible to low-income and underserved communities through our programs and services.